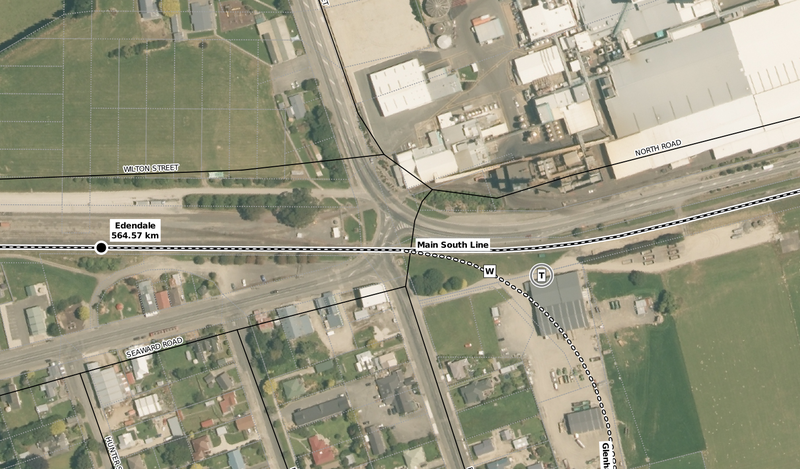 Here are a couple of views of some of the sidings in Gisborne, many of which are now non existent. 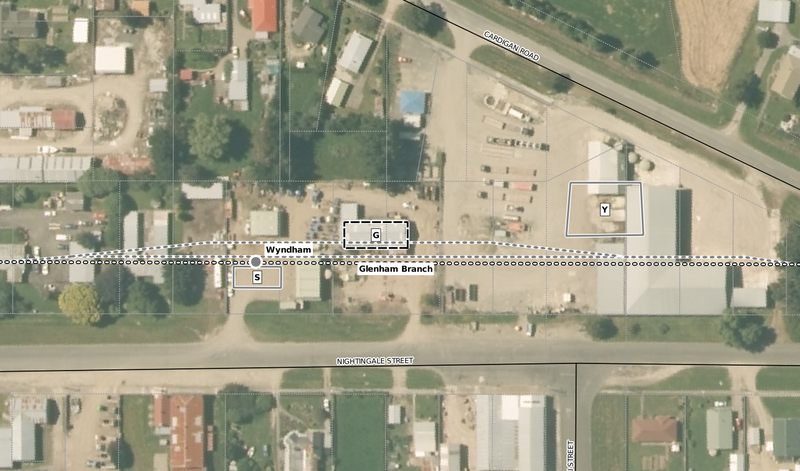 Apart from these we also have the main yard, the sidings on the Makaraka Branch, the wharf sidings and the ones for the other stations in the area which will be drawn up in due course. 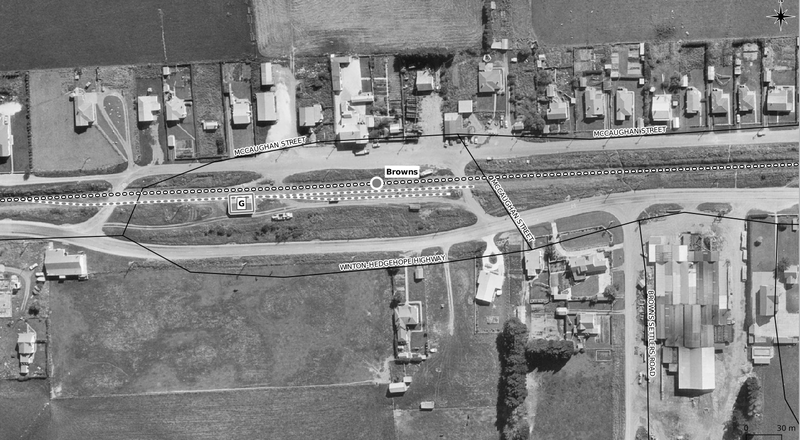 The first one shows Gisborne Junction, the old name for the Makaraka Branch junction. 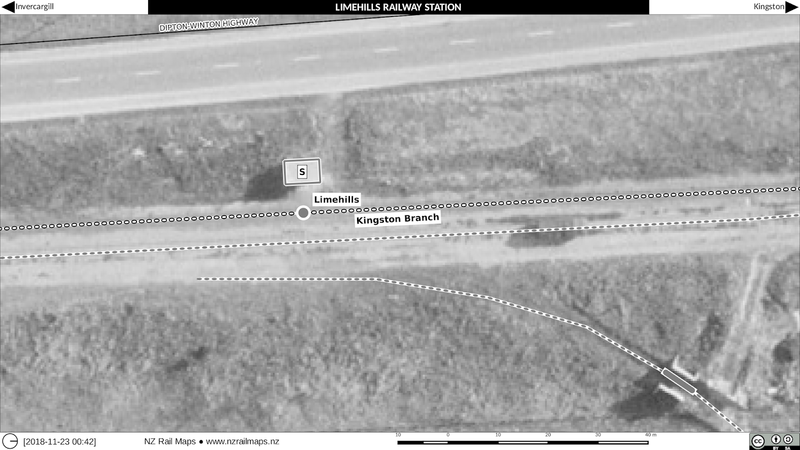 When the PNGL was built through in 1942, the main line went to Moutohora and the PNGL before then was a branch. 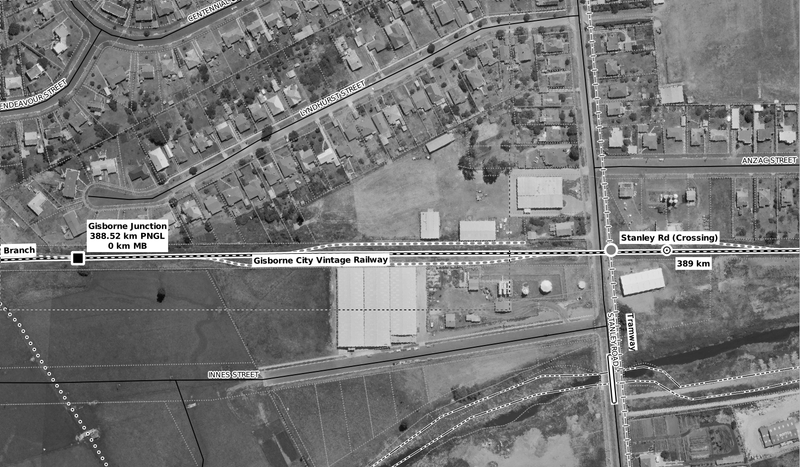 Today's effort has been drawing maps of Gisborne City. One branch of our extended family has been well established in Gisborne for more than 60 years and we regularly visited the city at the time when our household was in the North Island and somewhat less often after we relocated to the South Island, last time was June this year. Although I am occasionally working with PNGL material in the last six months I do not have a timetable for producing updates to the maps of this route. 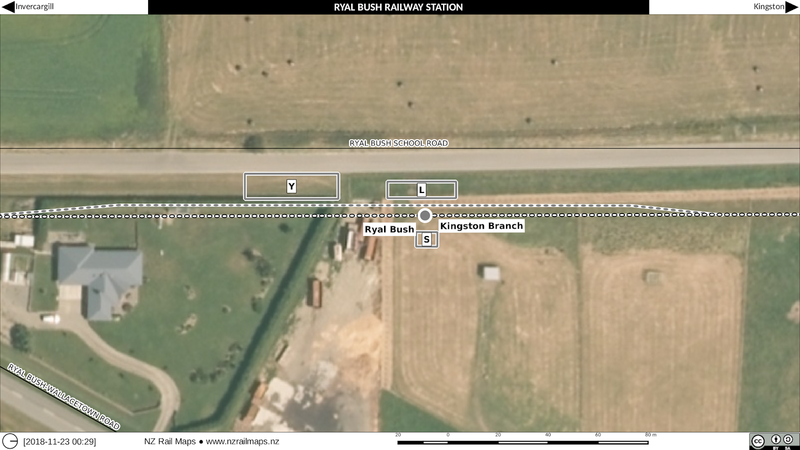 However I do have aerials of many of the stations and especially as the line is reopened to Wairoa, some new material will be released from time to time. In the last two days the key focus has been mapping in all of the smaller stations now the big ones have been completed. Starting from Makarewa I have looked at every small station that I could get good aerial coverage of. 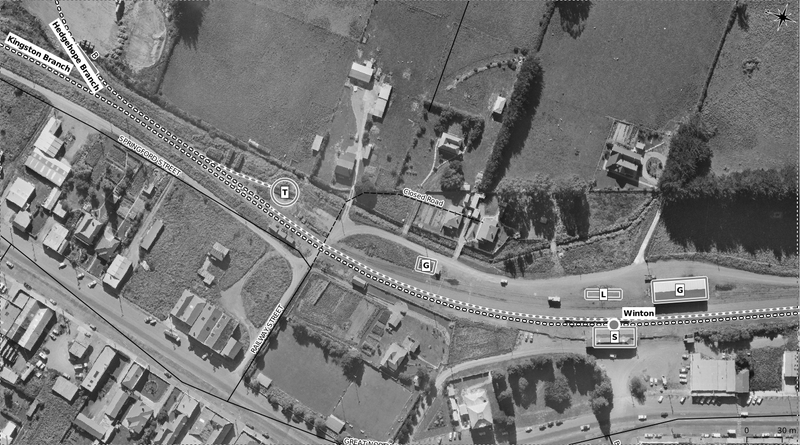 That as it turns out was most of them but Ords and Gap Rd were exceptions as they must have been closed by the time the aerials were taken. Here are all the maps I drew today. 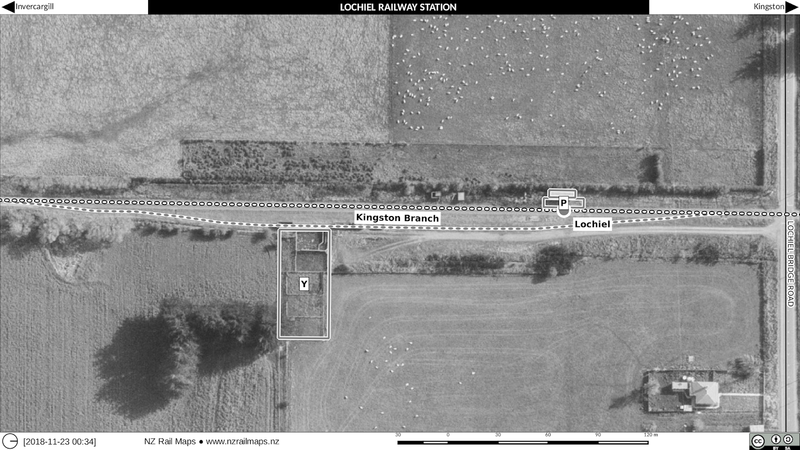 The main achievement of the last few days has been getting the entire Kingston branch, Hedgehope branch and Mossburn branch current aerial photos assembled together so that I know where all the base imagery is for every station that I can map all along the line in all of those areas. 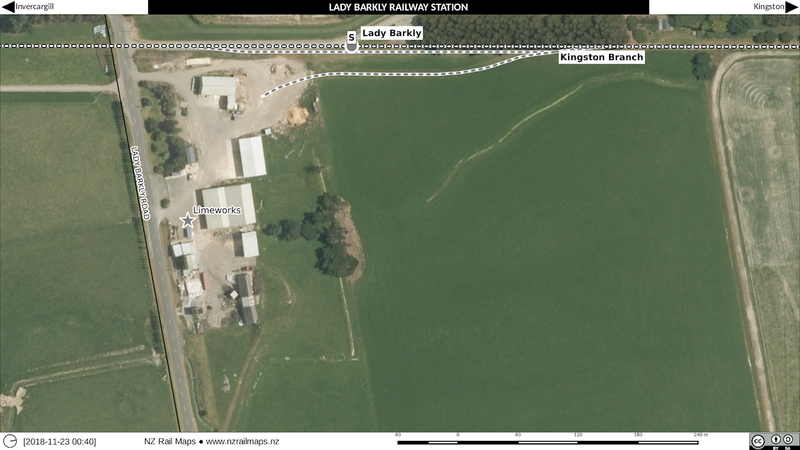 We will have maps in some form for Ryal Bush, Wilsons Crossing, Lochiel, Thomsons, Lady Barkly, Limehills, Centre Bush, Wintons, Browns, Kings, Castle Rock, Mossburn, Pukearuhe, Benmore, Dipton, Caroline, Josephville, Lowther, Five Rivers, Eyre Creek, Parawa, Athol, Nokomai, Garston and Fairlight. 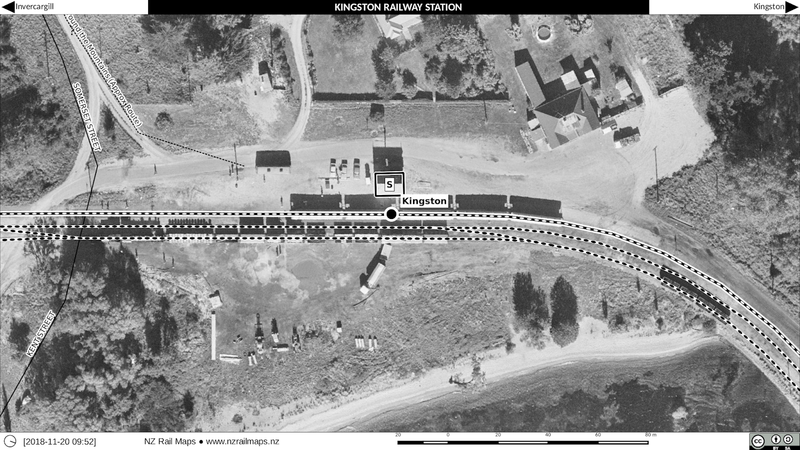 That is just about every station on the Kingston branch except for one or two we couldn't get an aerial photo for when they were open. The next job is to start making mosaics for all these small stations, having mostly covered the bigger ones already. 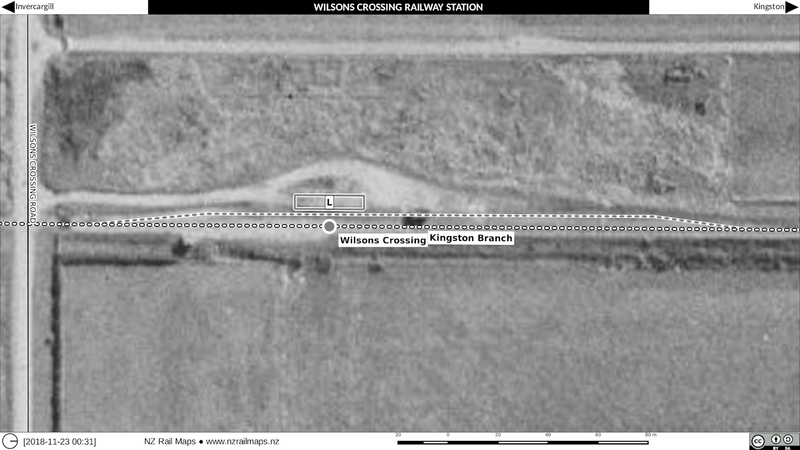 The big ones have all been done except for Mossburn, that is Kingston as mentioned in my last post, and Winton done yesterday. 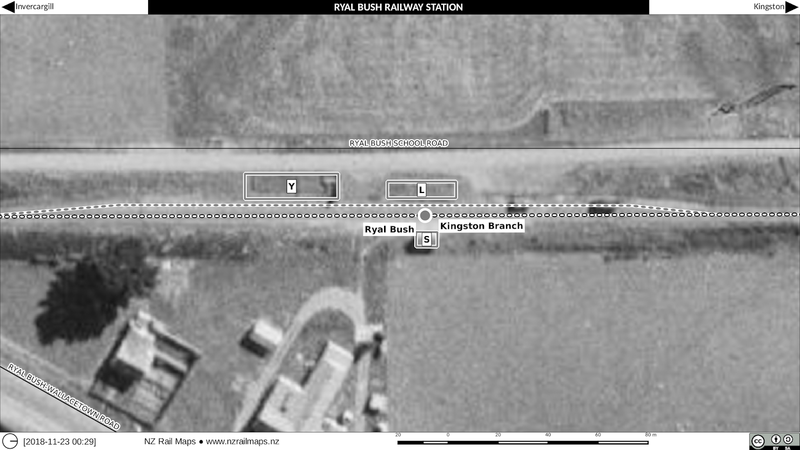 Here are some of Winton (the yard only partly drawn) and Browns (the terminus of the Hedgehope Branch between 1953 and 1968 when the line was closed back to Winton). 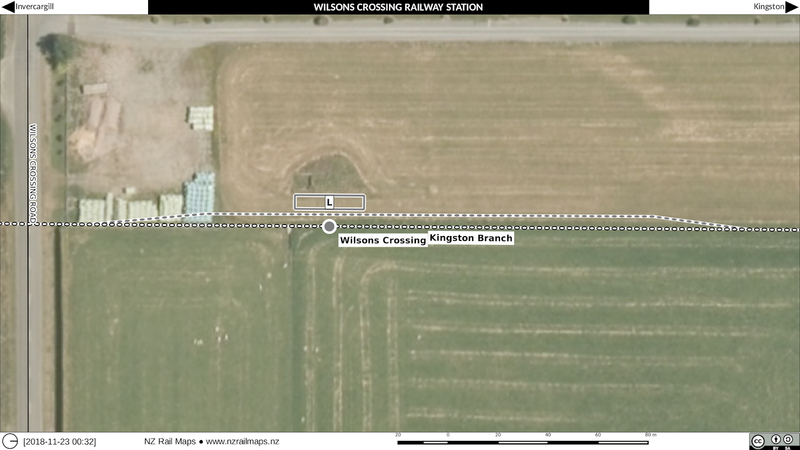 The Winton ones are 1964, 1972 and current, while the two of Browns are 1967 (not long before it closed) and current. As far as Hedgehope goes I can only show where it was five years after closure. 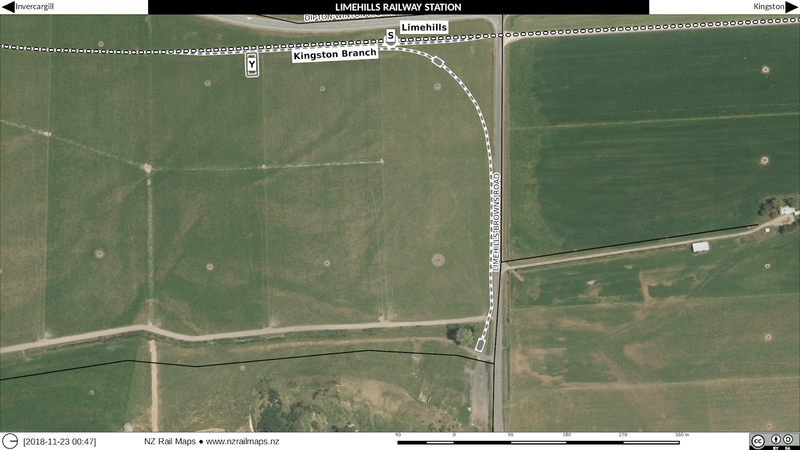 One of the issues of using Linz Data Service aerial layers is that they don't photograph the whole country every year. They photograph a certain amount every summer, and then there are a variety of different resolutions as well. 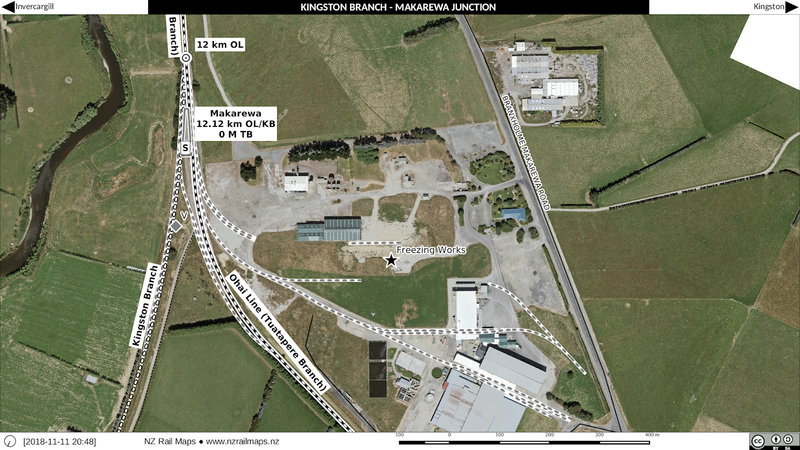 The consequence of this is that coverage of the Kingston Branch itself, from Invercargill to Kingston, is at three different resolutions. 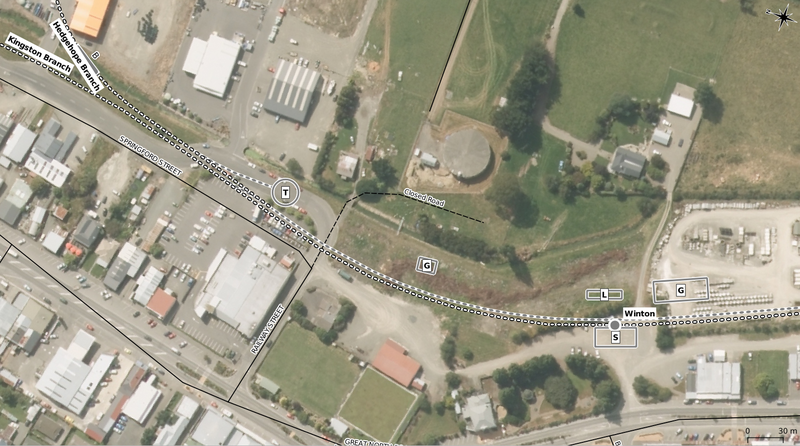 It could have been four, but as I said last time, I chose not to use the 0.05 metre Invercargill coverage as I judged the 0.1 metre coverage was plenty sharp enough for my purposes. But there is still 0.1, 0.4 and 0.75 metre coverage. 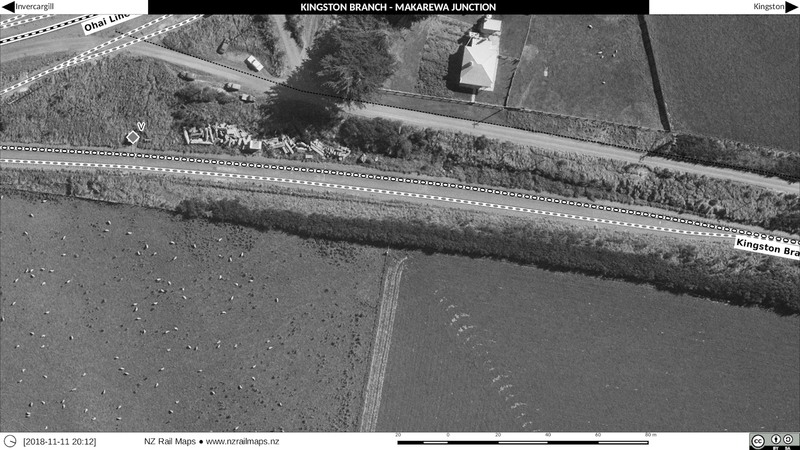 The latter is unavoidable as the 0.4 metre stuff only goes to just south of Kingston itself, meaning I have to bring in a small area at 0.75 metres because that area hasn't yet been upgraded to 0.4 metres - it's very old footage covering a range of dates from 2004 to 2011 and happens to cover all of Lake Wakatipu, Queenstown and a number of other areas. 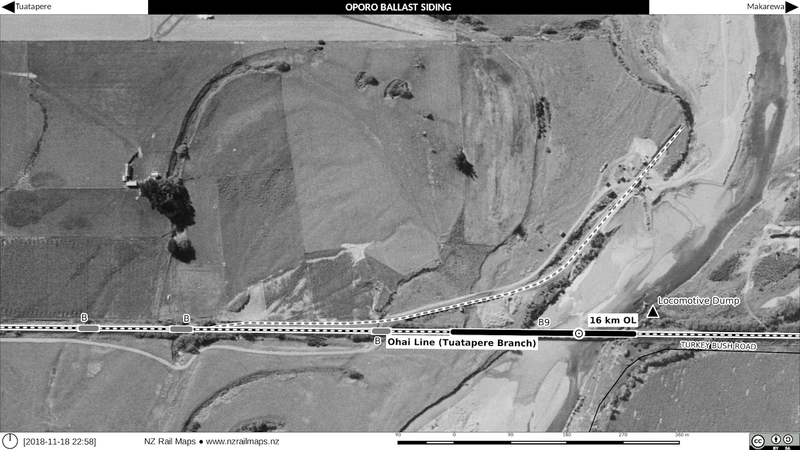 This same 0.75 metre coverage was what I originally used to do the Cromwell Gorge on the OCR. I then adapted all of that area to 0.4 metre coverage by loading the 0.4 metre tiles into the aerial mosaic in Gimp, scaling them up to 0.75 metres, overlapping them onto the existing tiles, and then scaling the entire image back down to 0.4 metres. It was done that way to avoid having to start from scratch and realign all of the aerial photo coverage over a 0.4 metre tile background. I didn't document that at the time so I am just going from memory as to how it got done. There was a mosaic I did where I also had to copy the layer masks from one file to another - I can't quite recall if it was that project or a completely different one. This one is slightly different because I haven't done any mosaicing just yet. What is happening is I have to make an overlap tile set of 0.75 metre tiles, which load into Qgis and line up with the existing 0.4 metre tiles. This means the tiles that come out will have some 0.4 metre imagery incorporated into them, so as to get the borders exactly correct. So I have to load in the overlapping 0.4 metre tiles, scale them up to 0.75 metres and then align them by eye. Then I can export my new 0.75 metre tiles out to be loaded into Qgis. Apart from adding Kingston in, one of the reasons for doing these 0.75 metre tiles is to get rid of some nasty black edges on the 0.4 metre tiles. For some reason, LDS like to produce fractional tiles, with a piece of solid black that happens to be an irregular shape filling in the rest of the tile, or else a tile that is not the full height or width. So getting rid of the black edge is another reason to make an overlap mosaic. As it happens, we aren't interested in producing 0.75 metre tiles as our output. 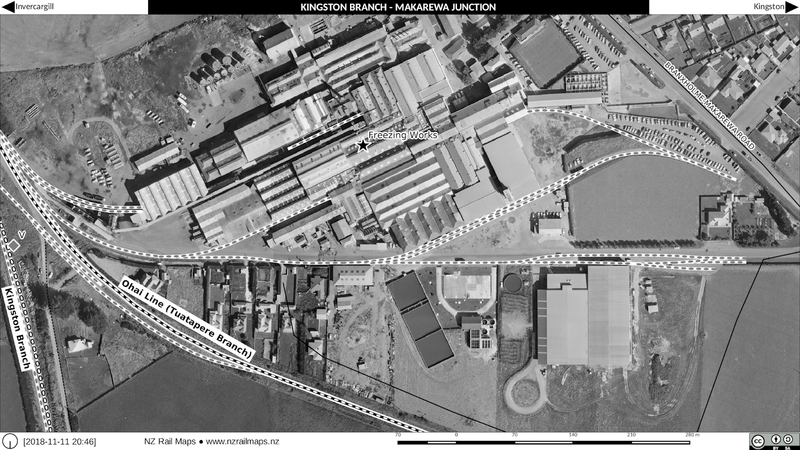 We want 0.15 metre tiles to be close to the resolution of the NZR retrolens aerial photos of Kingston that are going to be overlaid onto this mosaic and output to produce our historical tiles for drawing the Kingston yard. 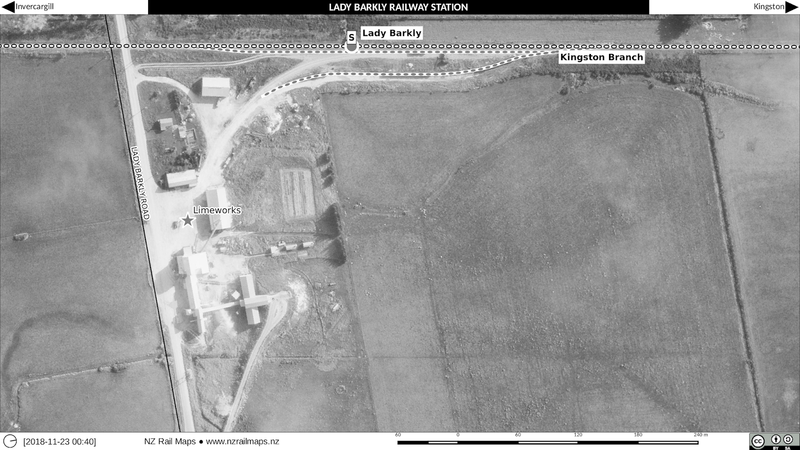 So this is a more complex project than just overlapping a bit of imagery in to fix the edges of a map. 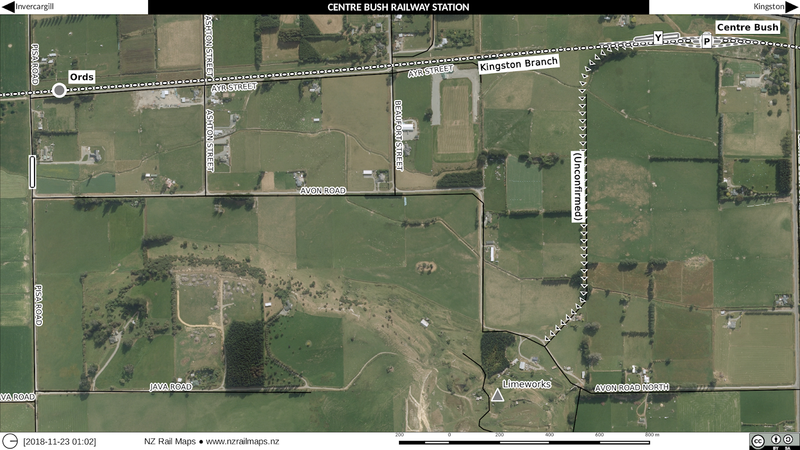 I had to do LDS tile overlaps for several parts of the OCR maps because there were several areas, including part of the Cromwell Gorge and another area was the Manuherikia River valley between Chatto Creek and Galloway. There were two different generations of aerial photography each covering just a part of the area and they had to be overlapped, and inconveniently came complete with these black edges and irregular shaped tiles. It wasn't like I could get the whole area covered in one of the series - I had to use both series and fix these overlap issues. 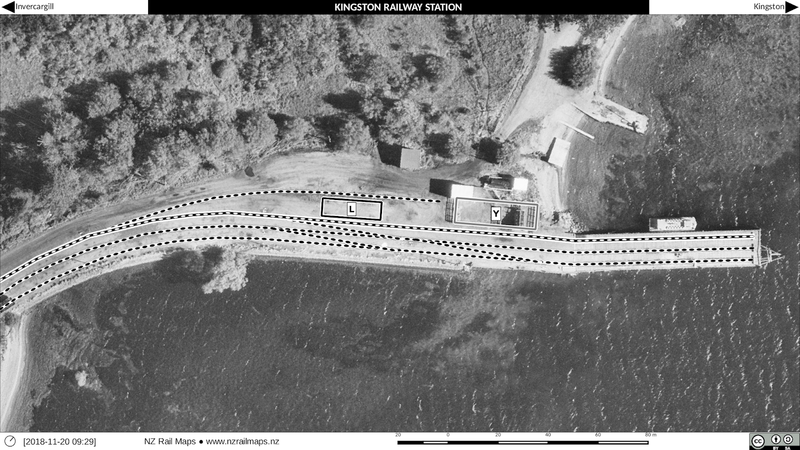 I scaled the 0.75 metre tiles for Kingston to 0.15 metres because it's an exact multiple, and then overlaid the Kingston historical stuff on top. 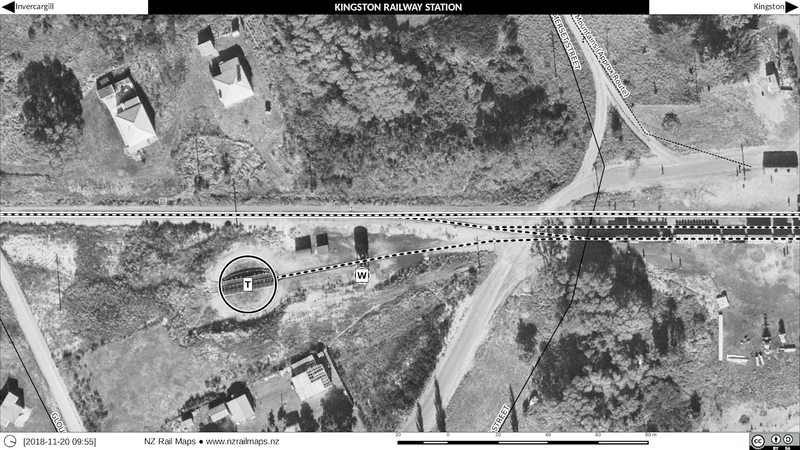 Here is Kingston in 1974 and sometime between 2004-2011. For those of you who must have thought there was an avalanche of posts coming last Monday because I posted four in one day, sorry to disappoint you. That was a just a catch up on material that I had shared throughout the preceding week on Facebook. This week has been lacking posts as well, but there is only one post coming out today, as the week has been largely occupied with other things. 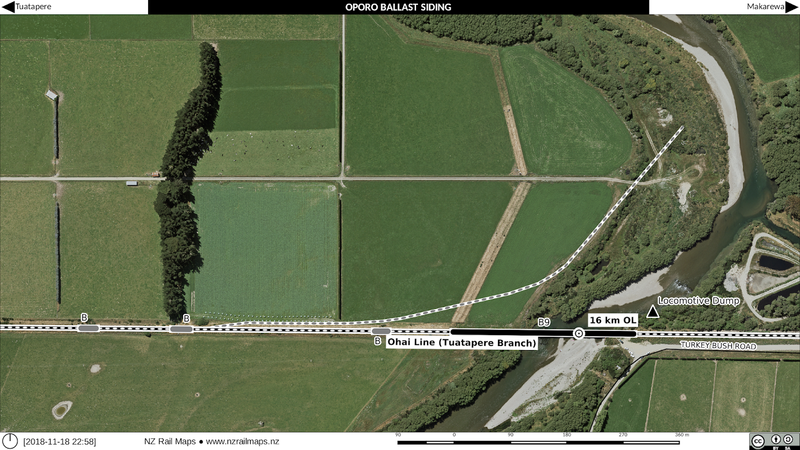 However in this post we are starting a new series, which covers the first part of what was the Tuatapere Branch. 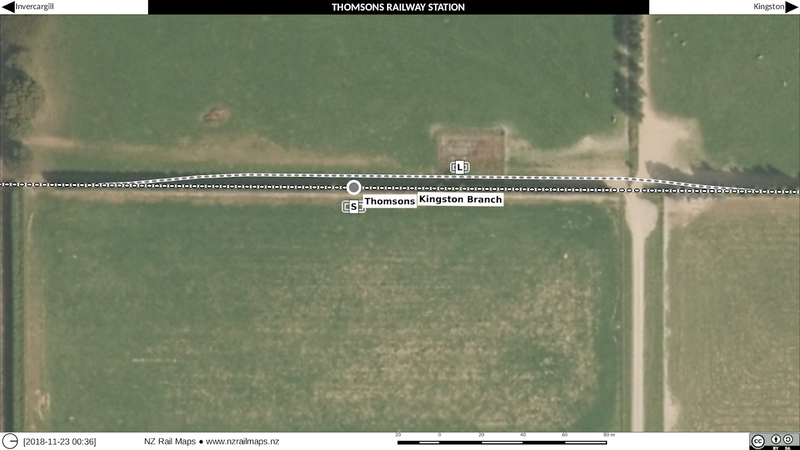 It started at Makarewa, and along the way took in Thornbury, which was where the Wairio Branch diverged off. 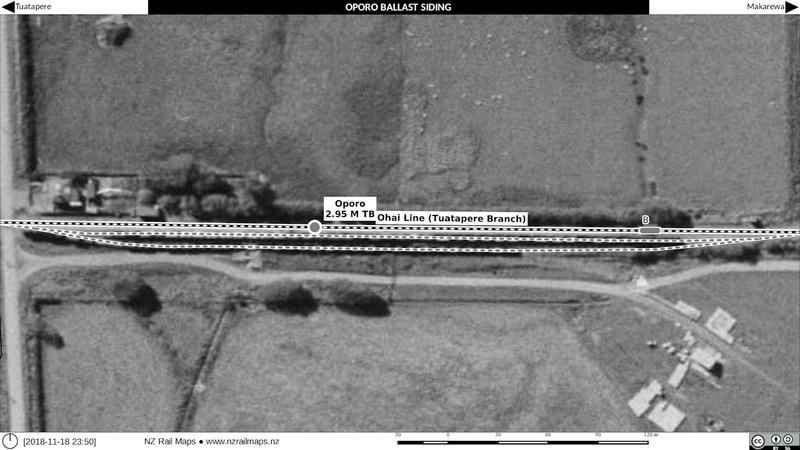 Since the 1980s, Makarewa-Thornbury has been incorporated into the Wairio Branch, which in more recent years has become the Ohai Line, having itself incorporated what was formerly the Ohai Railway Board line, latterly called the Ohai Industrial Line. 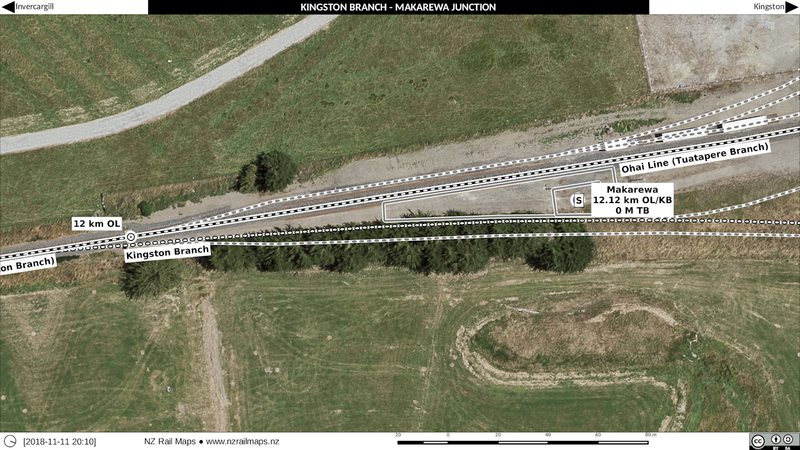 I don't know how many posts will be in this series except that there aren't any more coming for a while after this one because I am prioritising finishing the rest of the Kingston Branch going north to Kingston, and its northern branches, before again turning my attention to the western branches of the Kingston Branch (Tuatapere and Wairio). 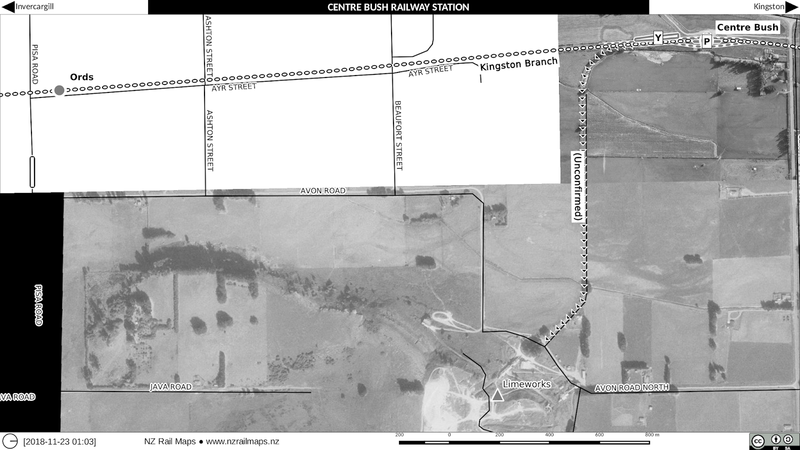 And even then, progress on the Kingston Branch proper will be subject to priorities for the Otago Central Railway. 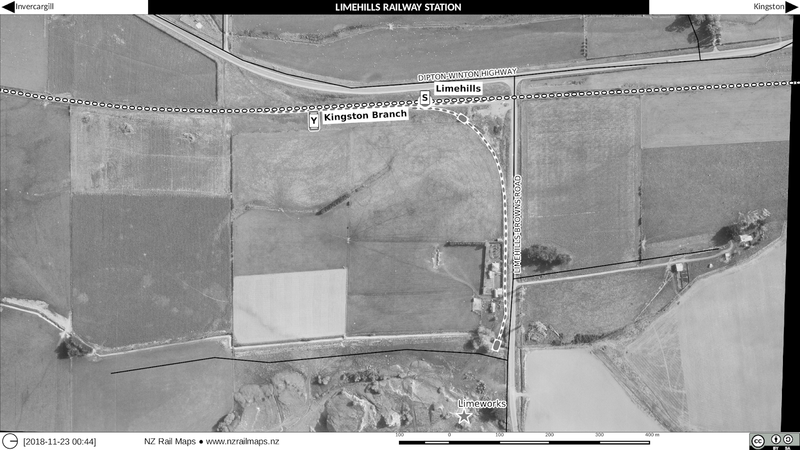 This post has been convenient to do because it falls within the boundaries of the last of the high resolution LINZ aerial photos of Invercargill to Makarewa that we have been working from for the Kingston Branch itself up to now. 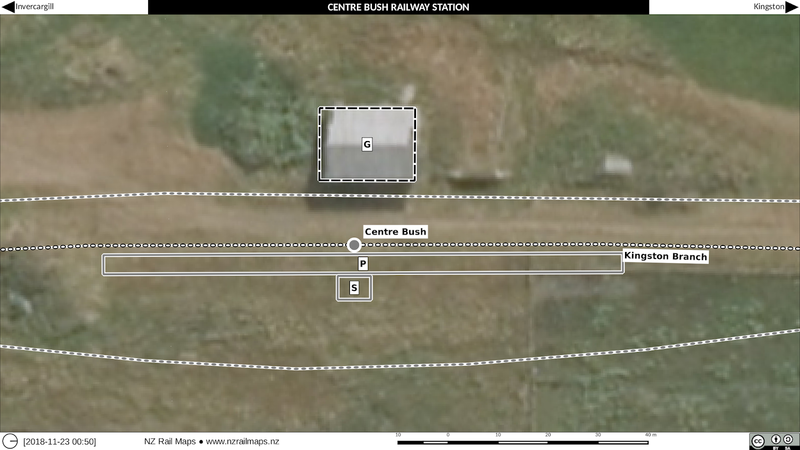 When I did this section I had two choices: I could have used 0.1 metre imagery or 0.05 metre imagery. Both of them got downloaded to my computer, but on discovering that the 0.1 metre stuff covered a much larger area, as far north as Makarewa, that is what I chose to use. 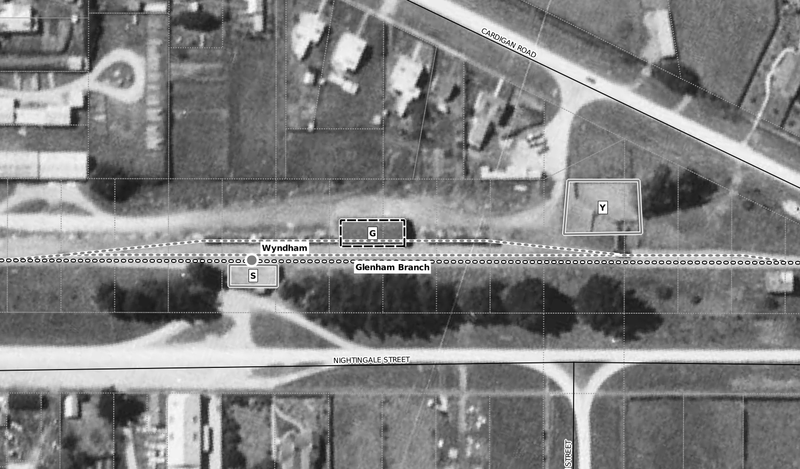 As it happens, there is a small part of the west line as far as Oporo that is also included. 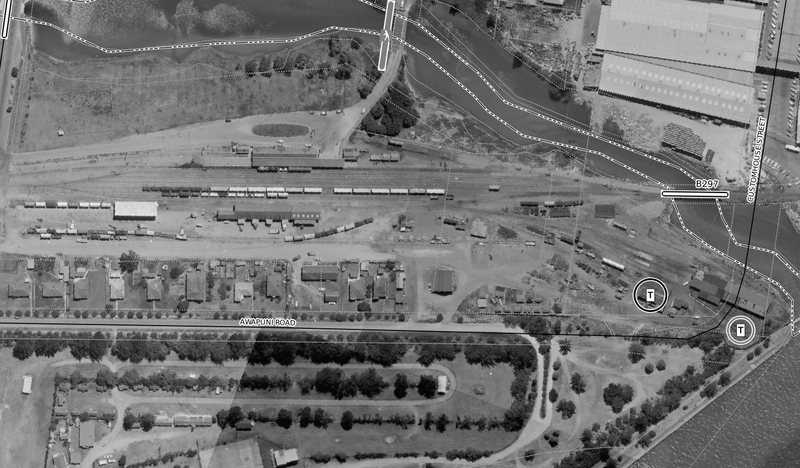 In looking at retrolens photography it was soon possible to discover that there was a ballast pit with its own siding clearly visible and in operation in an aerial photo taken in 1956 so this is the subject of today's post. 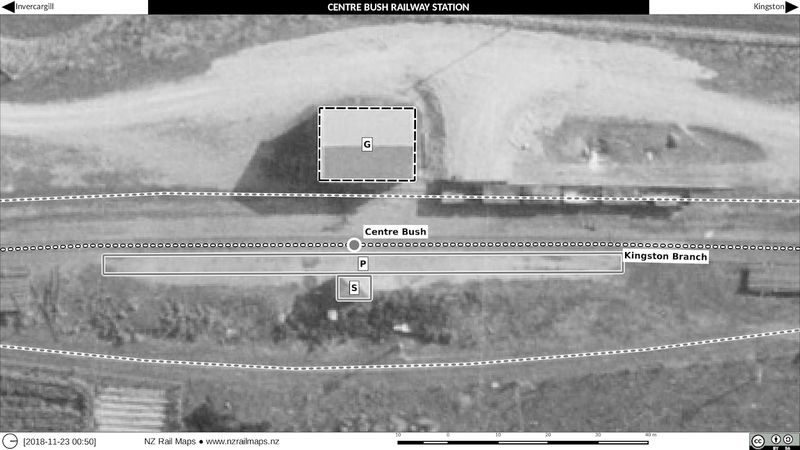 The first two photos are the Oporo station with its sidings, and the second pair are the ballast pit and its siding. 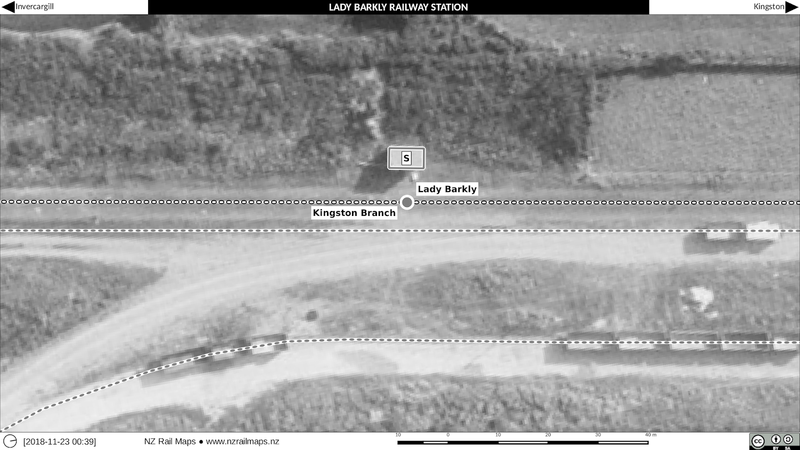 There is remarkably little to be seen today of the ballast pit and station site, and even four bridges have been eliminated in the short section of the route between the river and the station. 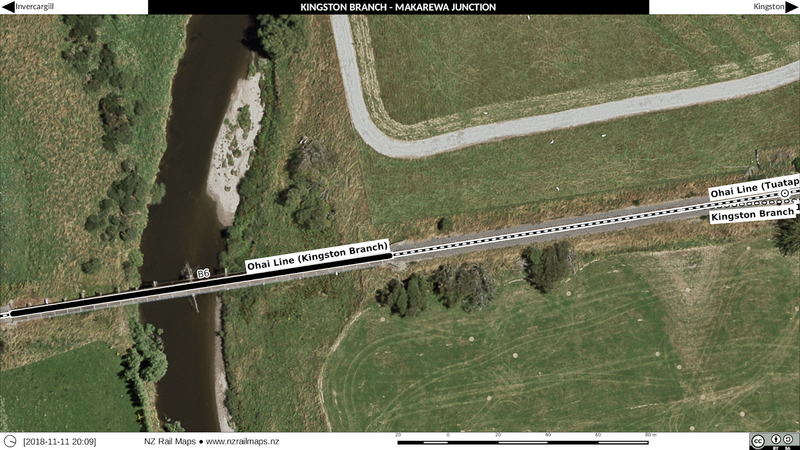 So now that I have mapped Invercargill-Makarewa and Lumsden-Mararoa on the Kingston Branch, work will be continuing to map, firstly, the rest of the Kingston Branch, followed by the Mossburn Branch, Hedgehope Branch, Tuatapere Branch, Orawia Branch, Wairio Branch and Ohai Railway Board section. 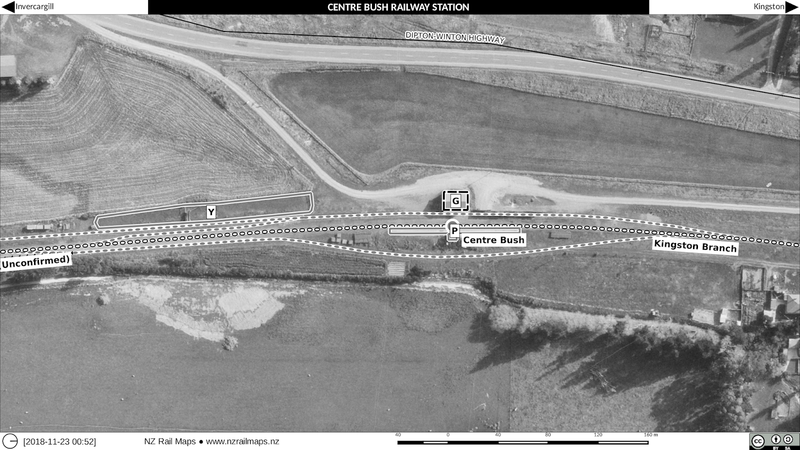 This will proceed at a slower pace than previously on the KB as I am going to continue with the Otago Central Railway as well. 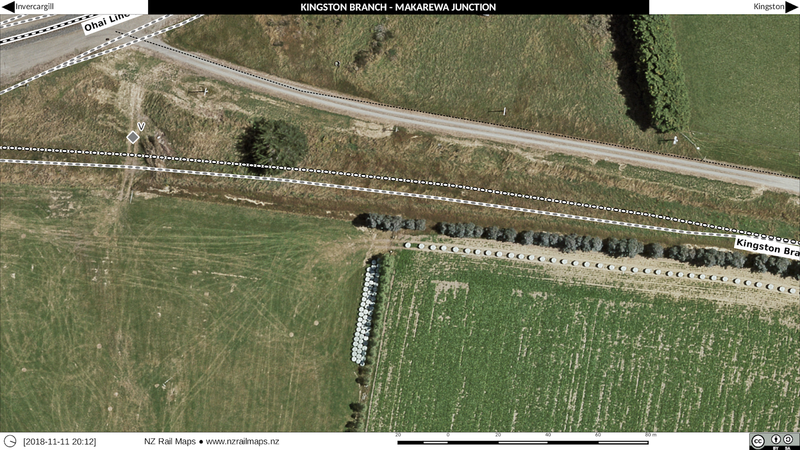 Aerial coverage north of Makarewa for the Kingston Branch varies with some areas well covered and others not. 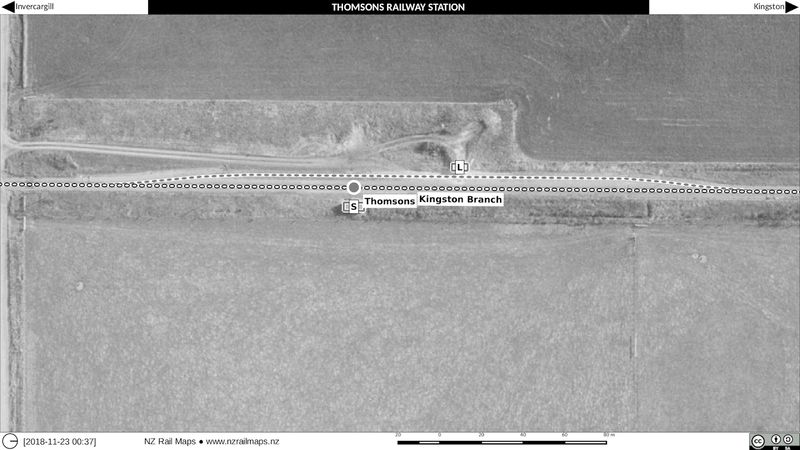 Some areas are covered by various surveys, notably one from 1964, and some from 1938 to 1946 of lesser quality that mean I can get coverage of most of the way from Makarewa to Lumsden, particularly with the official NZR survey of Winton, and on the Hedgehope branch there is also good quality coverage of Browns when it was still open. 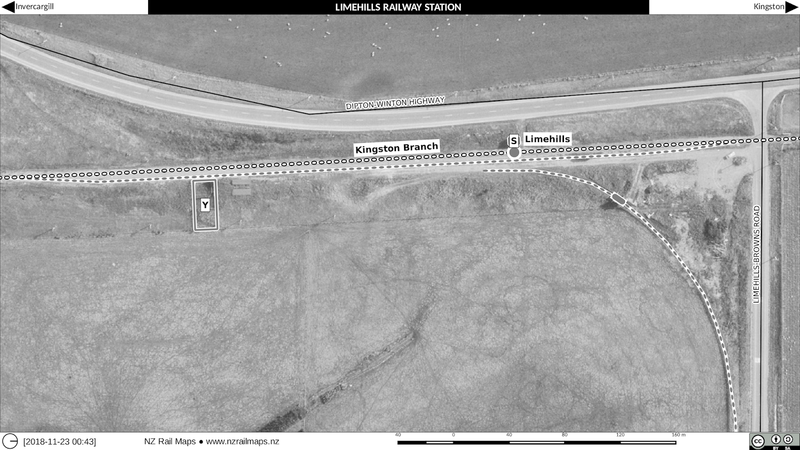 North of Lumsden there is good quality coverage of most of the stations to Athol, plus the NZR survey of Kingston has showed up. This is really quite a good situation overall for a rural line because many of them don't have any high resolution coverage at all. The Mossburn Branch is also well covered. 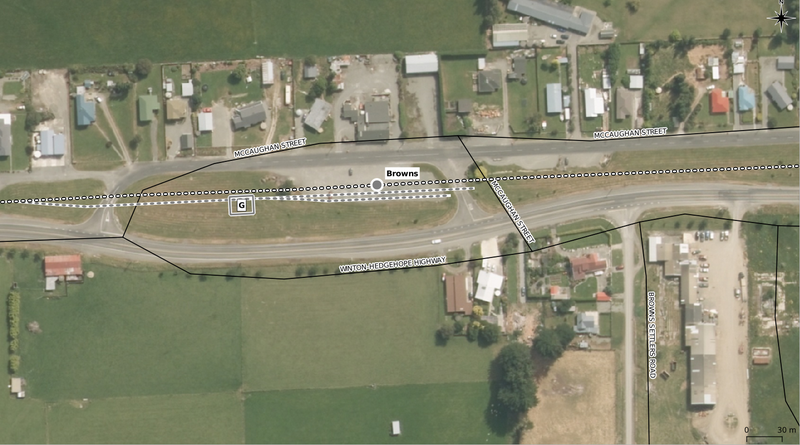 I haven't investigated the entire length of the Tuatapere or Wairio lines yet but major stations have the NZR surveys. So work on that will be starting soon but the timeframe is going to be a bit more disjointed as it depends on what I am working on for Otago Central. In other words all of Volume 12 is being worked on to completion, at which point I can look at putting together a PDF for Volume 12 as well as all of the online maps. 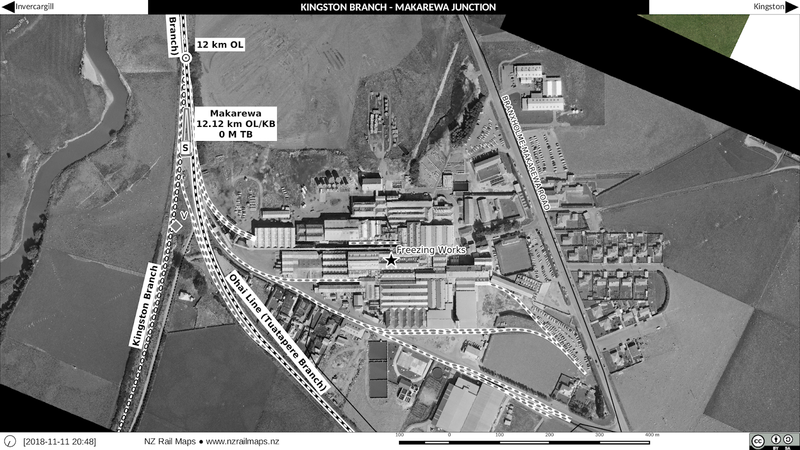 The web site has had the latest revision of the map keys (no. 52) added to it which is current as of yesterday. 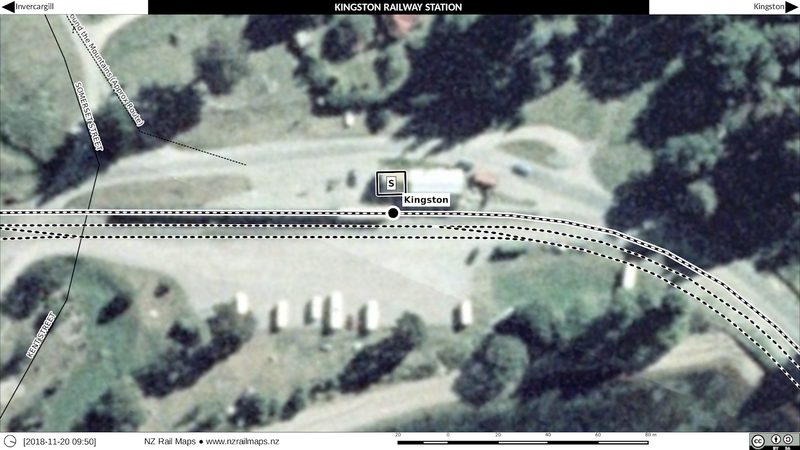 As usual, older maps will be updated to the new specification in their next revision. 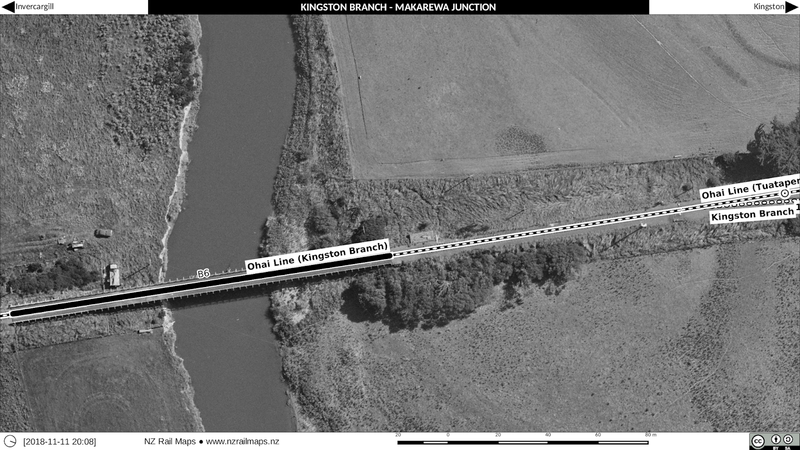 Makarewa (12.12 km) was an important station on the Kingston Branch (Ohai Line) because it used to be a junction. 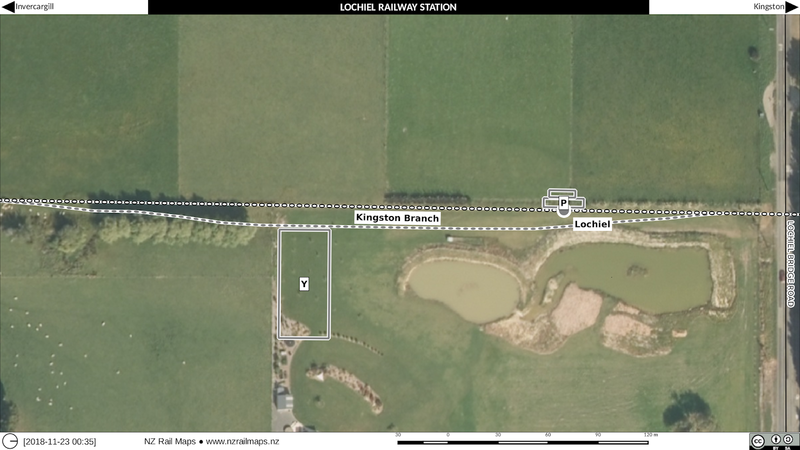 This was where the Tuatapere Branch started off the Kingston Branch. 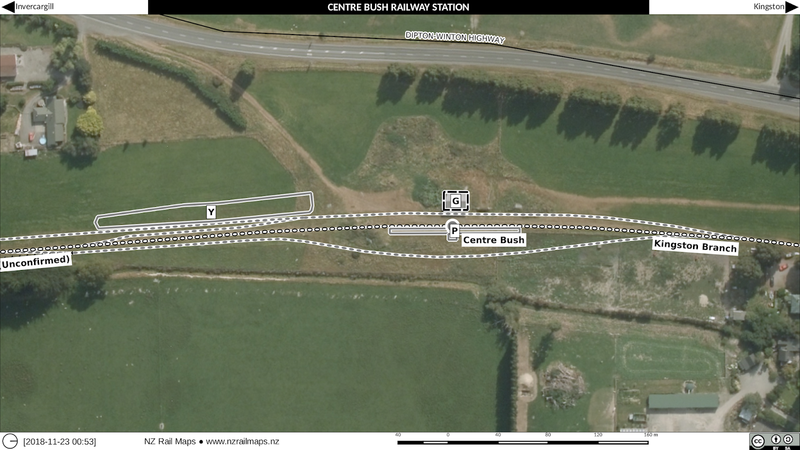 But since the last part of the Tuatapere Branch from Thornbury to Riverton closed in 1978, Makarewa to Thornbury was incorporated into the Wairio Branch, and since the last part of the Kingston Branch from Makarewa to Mararoa (along with the Mossburn Branch from Mararoa to Mossburn) closed in 1982, Invercargill to Mararoa was also incorporated into the Wairio Branch, which is now called the Ohai Line. 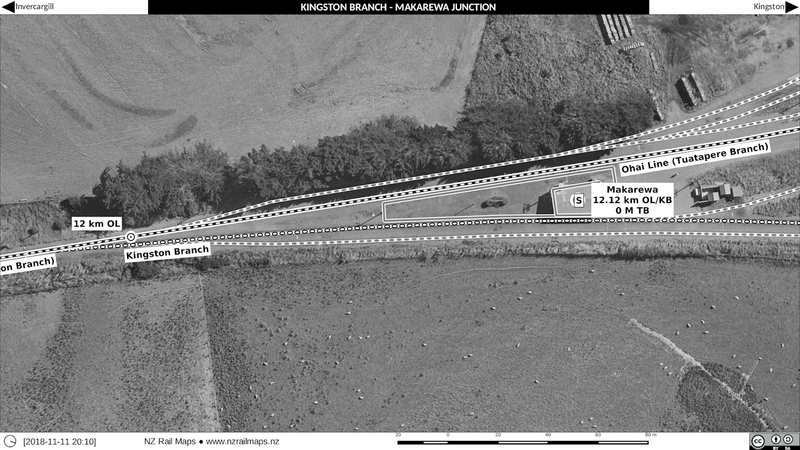 Since metrication occurred before the closure of the Tuatapere Branch and since it is likely that branch was metricated (the working timetable of 1974 would show this but I don't as yet have that available for reference for lines in Southland), km pegs for this line were probably just renumbered when it was put into the Wairio Branch. 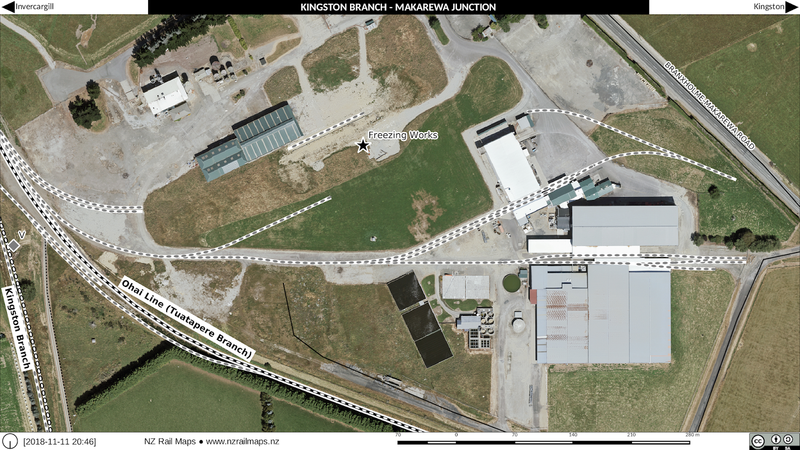 As Makarewa was just past the 12 km peg, it was probably easy to just renumber the existing km posts from Makarewa to Thornbury rather than re-measure all the distances. This is of course speculation but we don't have many Way and Works records available for research as they tended to have been discarded when the various offices closed up - there are few chainage books for example. It was a real gift to have chainage books for the Otago Central Railway and these actually got into Archives New Zealand via private collections rather than being transferred from NZR. 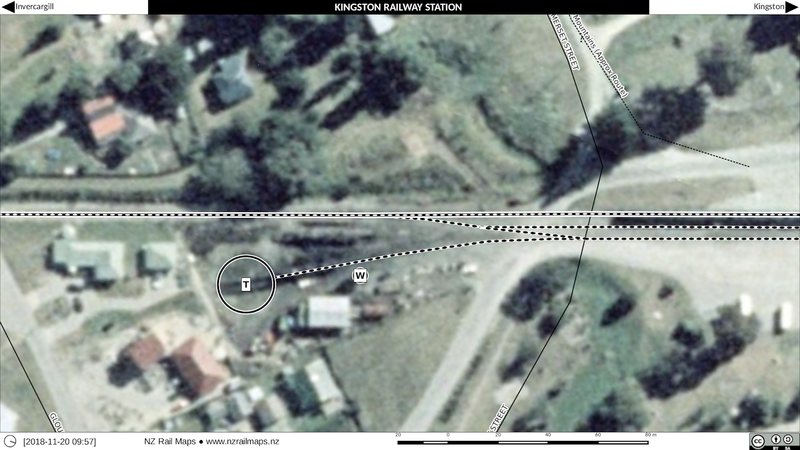 The reason for me to say this is that mileposts or km posts are really just a namespace because it is not routine to remeasure when a distance changes in a line and so there end up being short or long miles (or km) and so it seems likely the existing pegs in the Tuatapere and Wairio branches just had new numbers put on them when the Wairio Branch took in pieces of the Tuatapere and Kingston branches to become the name of the entire route from Invercargill to Wairio, which we assume occurred possibly starting in 1978 and continuing through 1982. 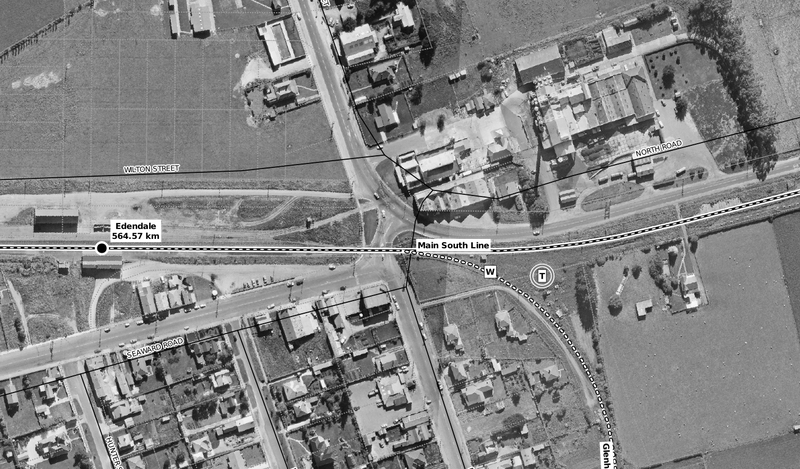 The other notable thing about Makarewa is the old freezing works which is right beside the western side of the Ohai Line as the line curves around to head west. This was originally quite a major plant and even had accommodation and recreational facilities for people that worked there. 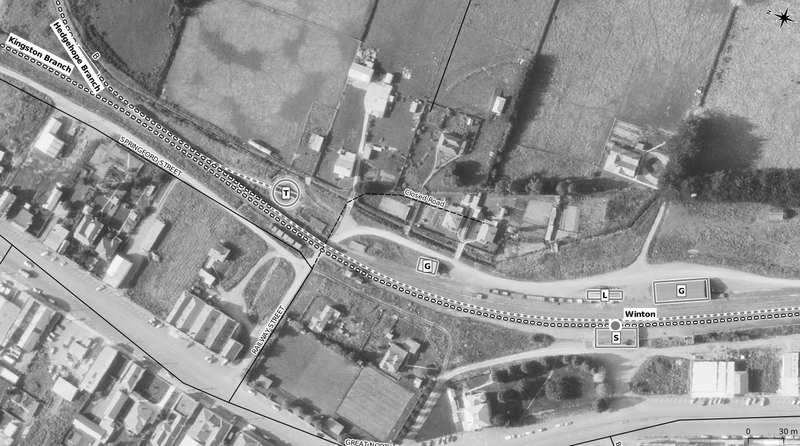 There was an accommodation block probably for single employees as well as a lot of housing on the opposite side of the main road, a bowling green is also visible on the older aerials. 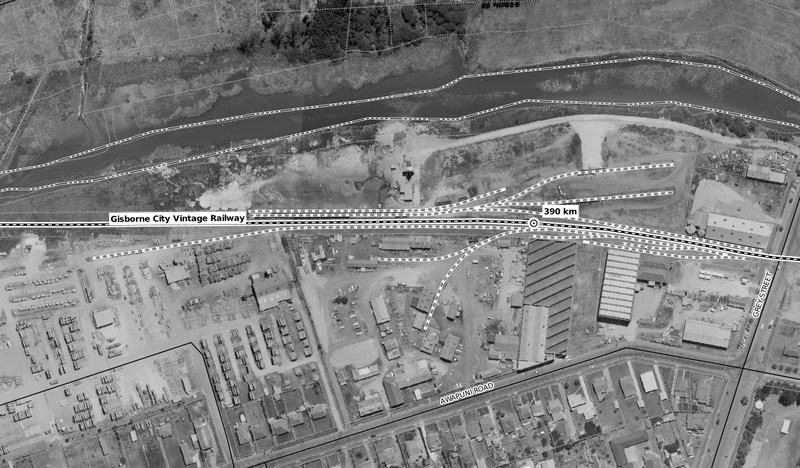 All this stuff as well as many plant buildings are gone now and the railway sidings are no longer in use. 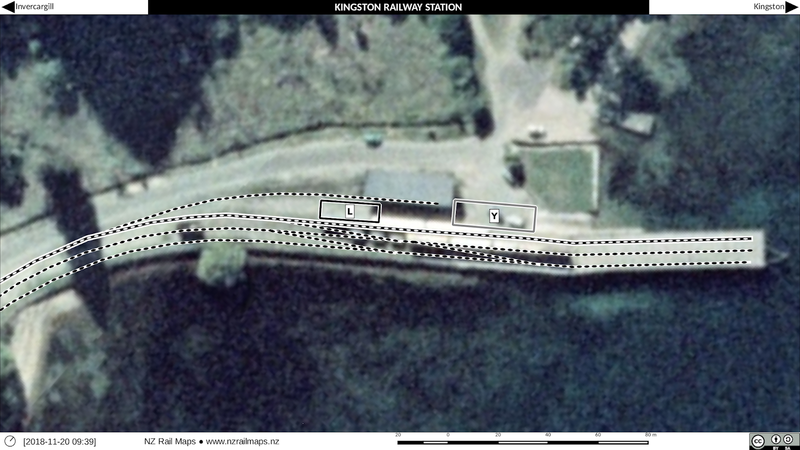 Makarewa was an island platform (the platform and station building are gone) and also had a bridge to the south across the Makarewa River (Bridge 6) that is still partly decked (it was formerly decked both sides) because shunters would have to be able to walk across the bridge when shunting through the mainline points at the south end. Maps are from 1972 and 2015.